Metcalf has often referred to the notion of “I and the other are one,” or the idea that all of humanity is inevitably connected in his lectures. For his debut novel, Metcalf chose to delve deeper into that concept by creating a version of storied womanizer Giacomo Casanova who could look upon a great work of art and interpret it personally. 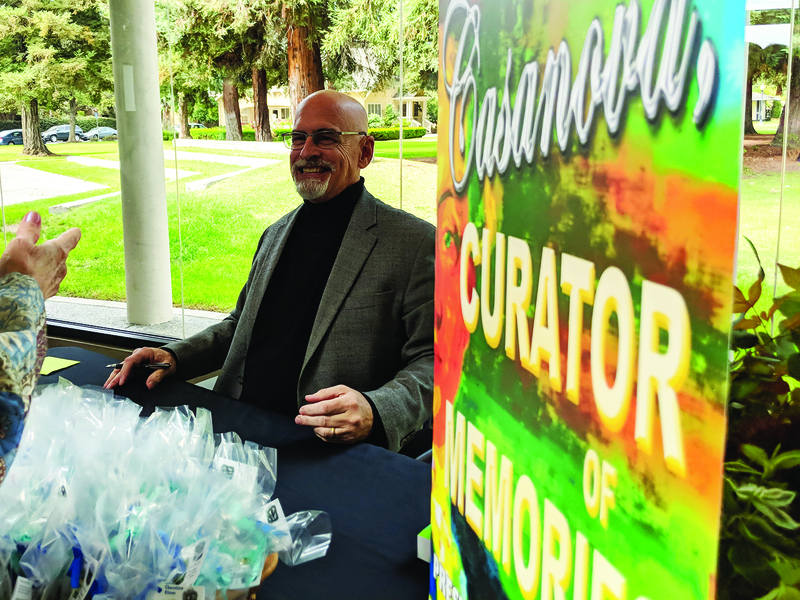 At a book launch, reading and signing at the Triton in September, Metcalf and his publisher, Cricket Rogers Freeman, spoke about the book, its significance and how the whole project came to fruition. Freeman said she was initially drawn to Metcalf’s pitch because she was once an art student. The novel, she said, tapped into her personal love of the subject, although she was quickly hooked on Metcalf’s story after randomly selecting an excerpt to read. “I did what I normally do with any novel and I just scrolled through as fast as I could to find something,” she said. “And what’s the first thing I read? “‘Should I meet her blackblood eyes, the more frightening will her Gorgoneum be. A scream, a throaty hissing scream, as if spitting Medusa’s curse, issues from her Libyan craw. 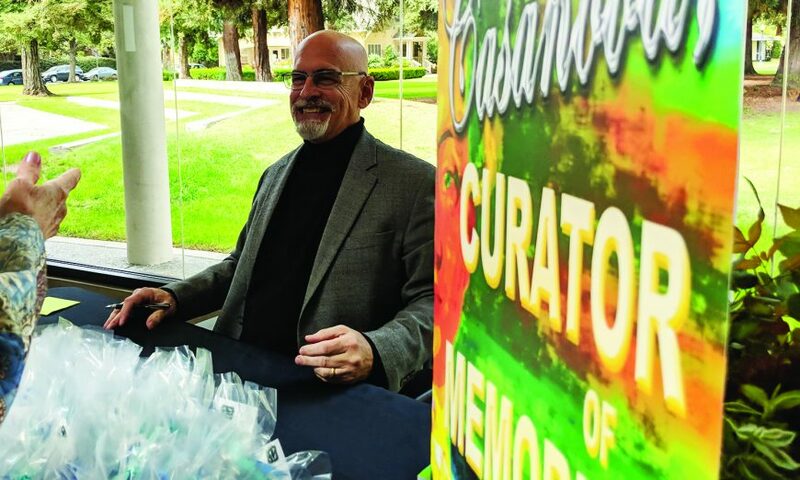 Images of masterpieces — and even pieces by former-Triton Executive Director George Rivera and artist Cuong Nguyen — accompany each of the stories Metcalf tells. Through the 42 tales, Metcalf’s dying Casanova shares the memories of romance, loss, bravery, sacrifice and love that made up his scandalous life. The twist, however, is that each of Casanova’s recollections is tied directly to the great work of art that precedes it. “As [Casanova] recounts his stories to his grandnephew, what the reader knows but the grandnephew doesn’t is that each story is preceded by a great work of art and each woman portrayed in that work of art is the subject of his memory,” said Metcalf, adding that the novel isn’t about the subject, but the reader and the reader’s life experiences — an idea Metcalf often refers to when speaking on great works of art. And although the process was long — almost 10 years writing and doubling the size of “Casanova, Curator of Memories”— it proved to be worthwhile, as when it came to editing, Freeman found nothing worth changing. “Casanova, Curator of Memories” is available on Amazon, amazon.com/Casanova-Curator-Memories-fable-time/dp/1942018142.